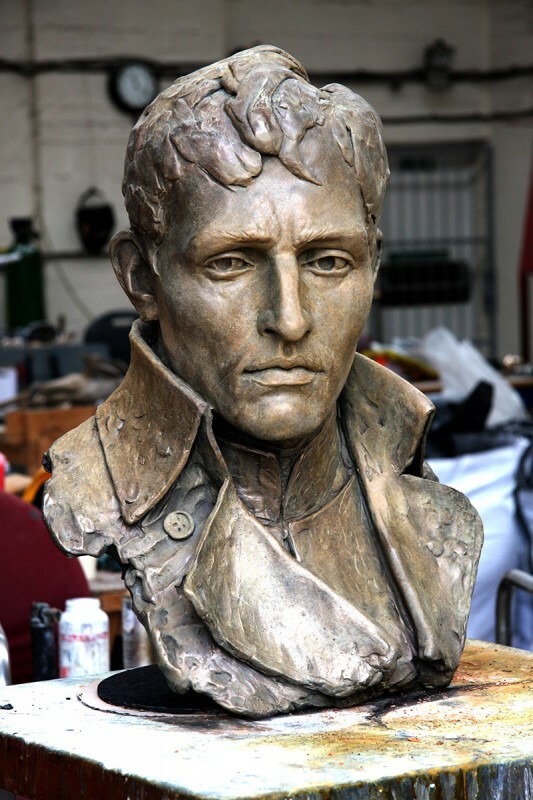 This portrait study of Napoleon (over life size), as a young man, was executed originally as a study for a much larger work of sculpture. 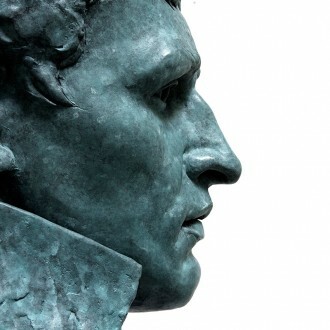 In order to achieve a likeness of Napoleon, I travelled to Chatsworth to view the contemporary portrait in marble by the Italian artist Antonio Canova. 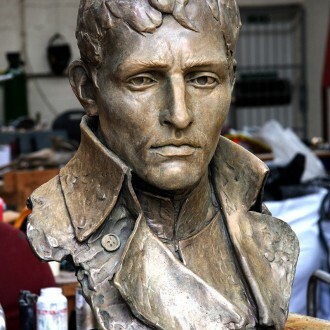 I rapidly noted the prominent features of Napoleon, particularly the striking profile and rendered them in clay, using this as a starting point. 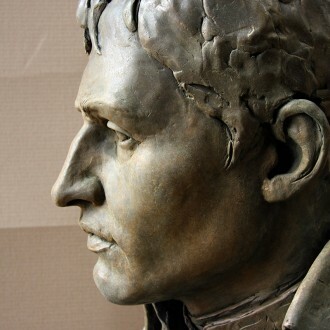 Over a period of several weeks, I gradually refined the appearance of the head, adding, and then finally taking away, the iconic bicorn hat that is forever associated with Napoleon. My feeling was that the hat dominated and overshadowed the handsome face, and that the portrait was eminently better bare headed. 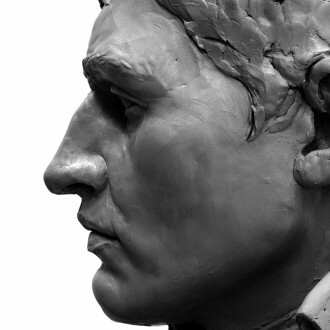 The modelling of these parts is naturally loose and sketchy, so that the viewer’s attention is directed to the face. It is here that I sought to illustrate the character of Napoleon as a young man: his determination and resolution shine through. The shoulders and the high collar of the uniform were added later, to compliment and aggrandise the visage.